So, as the title, image and intense all caps intro suggest, today is my blog's one year anniversary! I'm honestly so proud to be writing this post because I tend to be the type of person who gives up too easily. Of course, that's something I want to improve on (and I think this is a good first step) and despite taking a few breaks in my blogging time so far, I've always come back. I know this doesn't seem like much to most people but I'm so delighted that I was able to achieve this. 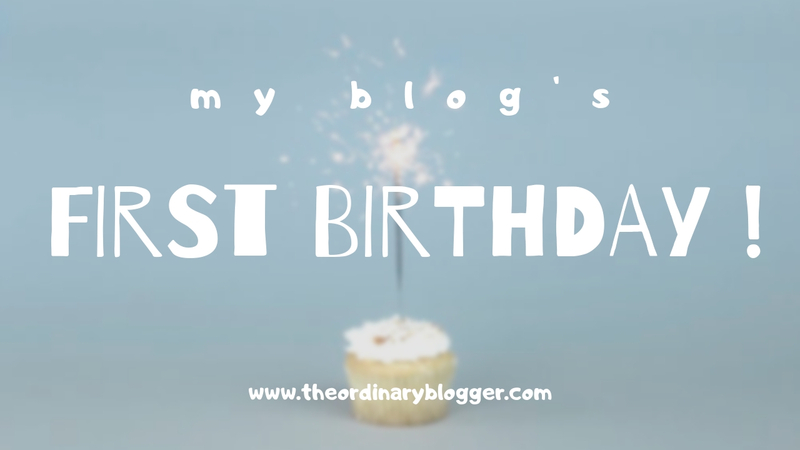 There's no real purpose to this post, I just really want to acknowledge this milestone in my blogging journey and say thank you to anyone who's ever read my blog or left a comment or interacted with me on social media. Seeing people enjoy what I have to say makes me so incredibly happy and honestly even if only one person ever reads this, it would be enough. So yeah, that's really the main thing I have to say. If you're starting a blog, keep going when it gets tough (or just take a break) and don't quit, this will be you sooner than you know. As always thank you so so so so so so so so so so so so so so so so so so so so so so so so so so so so so so so so so so so so so so so so so so so so so much for reading!